Looking to buy a new motorcycle, boat, or RV? Whatever recreational vehicle you are shopping for ISPFCU has a loan to fit your needs and your budget. All of these loans come with the flexibility of closing your loan either in person or with ISPFCU's E-Signatures. 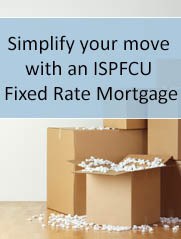 The loan proceeds can then be directly deposited to your ISPFCU Checking Account. If you have any questions about a Recreational Vehicle Loan please contact a loan officer at 800-255-0886.